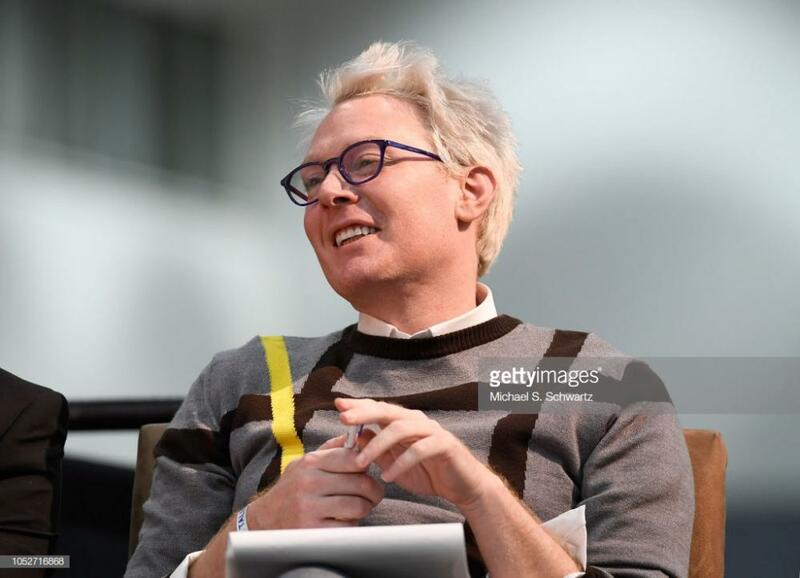 Clay Aiken – The Interviewer!! 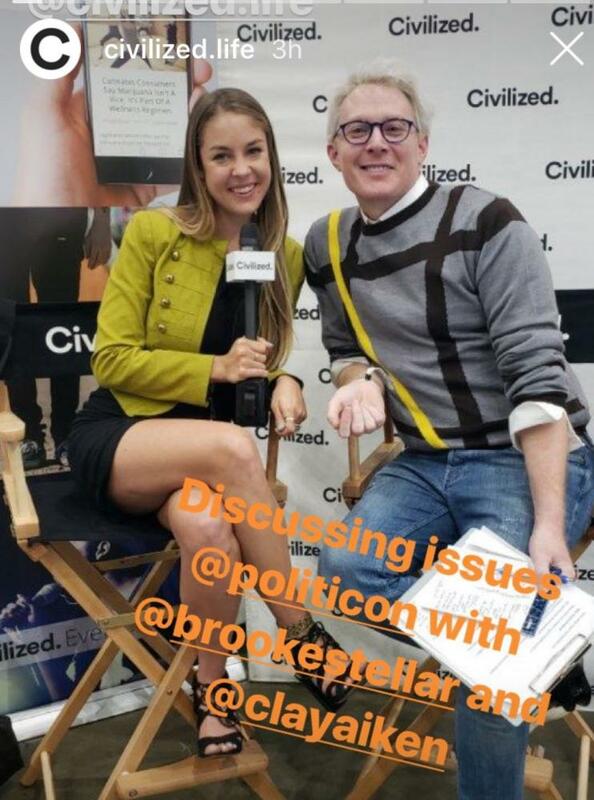 Sunday was another exciting day at Politicon. The Los Angeles Convention was filled with lots and lots of people…and it was fun to just stop and people watch for a few minutes. There were people in costumes, people with clothes made from the flag,and those in comfortable clothes!! Everywhere you looked you saw tee-shirts with messages. It was really fun! 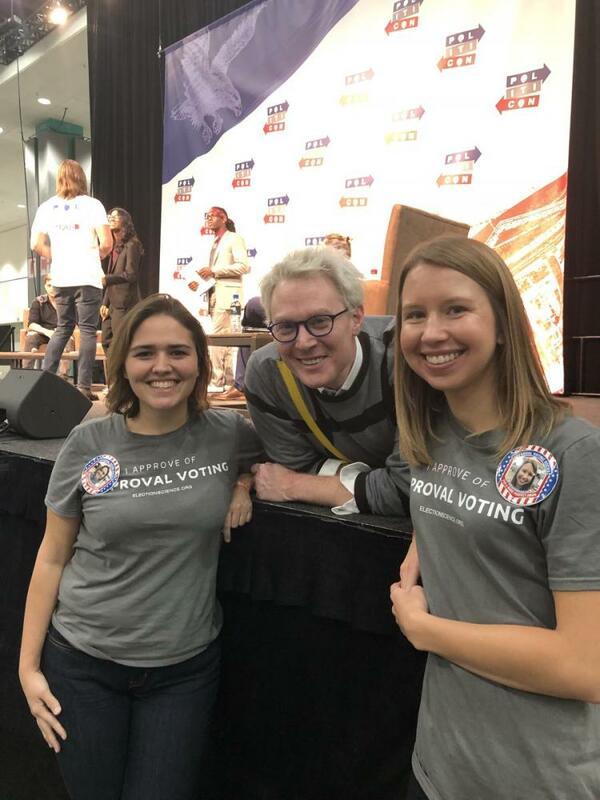 Clay Aiken played a prominent role at Politicon on Sunday. At 11:00AM, Clay was the moderator for the college debates. The two teams were from UCLA and LaVerne University. There were two different debates but I only stayed for the first one. WOW…each one of the kids was amazing. It was fun to see them! Clay was a great moderator. He kept things going and even asked some important questions of the teams. He also congratulated each team for a job well-done. The debates lasted for 3 hours! 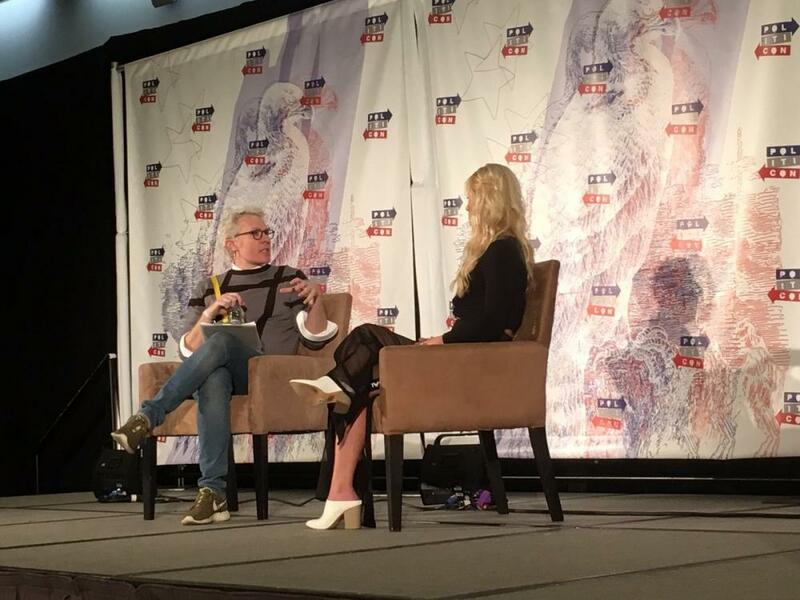 At 3:30 in the afternoon, Clay was on a Town Hall event with Tomi Lahren. 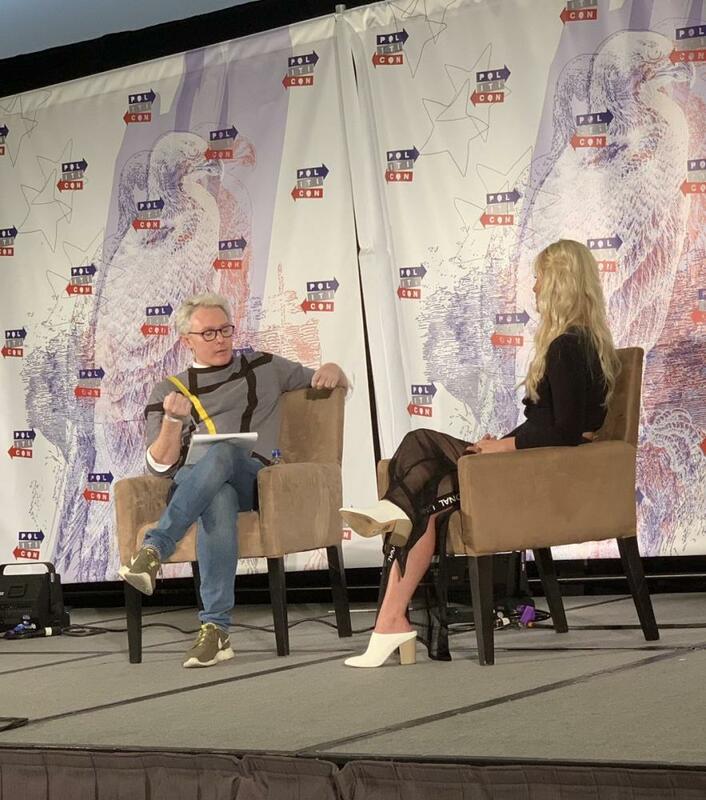 Clay’s job was to interview and ask Tomi about her very conservative beliefs. This event was in one of the largest rooms and there were many people there to listen. Clay was honest from the very beginning when he said that if any of the audience was rude or inpolite, they would be gone. I liked that both Tomi and Clay were respectful of each other and although they seldom agreed on some points, they listened to each other. Towards the end, there was an audience question time. One man got up and asked Clay a silly question abo at Politicon 2018.ut “Invisible”. Clay had some colorful words and the young man was gone. I think the audience was surprised but pleased that Clay handled the situation well. Since it is late and I have to get up VERY early in the morning to catch a plane home, I will just post a few more pictures and then say goodnight! Thanks for patience these last few days!! All For Now!! Have a Great Day!! 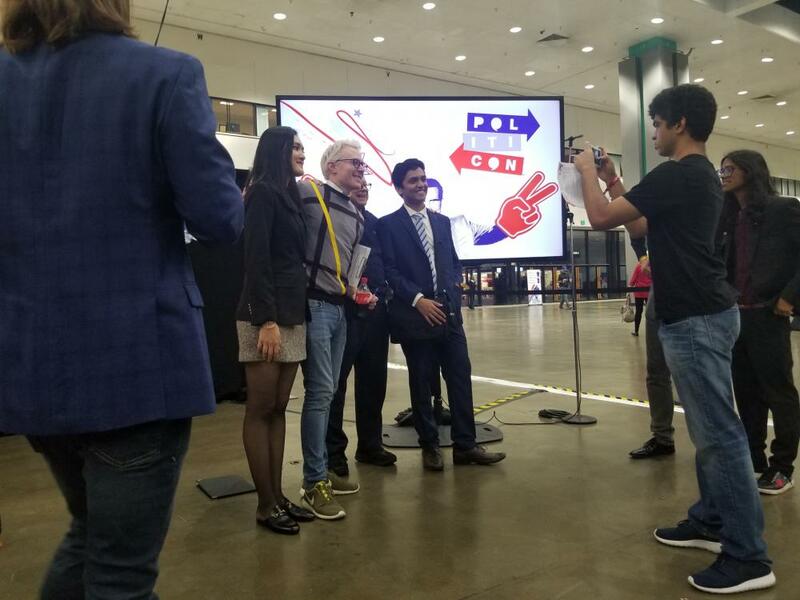 It's great to hear that Clay did so good with his part of Politicon – but then you can always count on Clay doing a fantastic job – whatever he does! Glad you had a good time and thank you so very much for the all of the great photos – love all of them. Your reports were very interesting – you did good as always! Clay not only is a great commentary but also can handle an audience! Thanks for all the pictures! Error: Error validating access token: Session has expired on Tuesday, 21-Aug-18 16:13:01 PDT. The current time is Friday, 26-Apr-19 01:25:06 PDT.